Yesterday I posted my top ten wishlist books being released in the spring. I'm going to skip out to September today and show some love and anticipation for another upcoming Stephen King release. The Shining has a very special place in my heart. It was the first King book I read in my childhood, and I read it many times. It will always be one of my favorite books of all time. I should be nervous about a sequel, but I'm not. I'm excited! I absolutely cannot wait for Doctor Sleep! That cover! I love that cover. Who is on that cover? 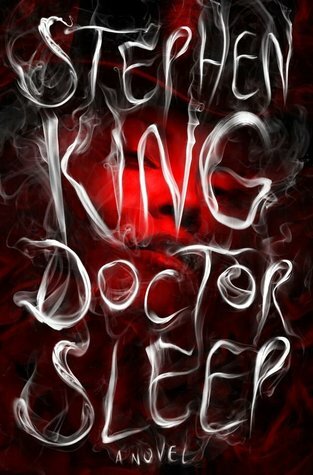 I ordered my copy of Doctor Sleep... now I just need September to get here! Have you read The Shining? Will you be reading Doctor Sleep? What books are you anxious for this week? Let me know in the comments or leave me a link! I loved yesterday's post. I love discovering books that will soon hit the shelves. There is nothing like the feeling of anticipating a book! 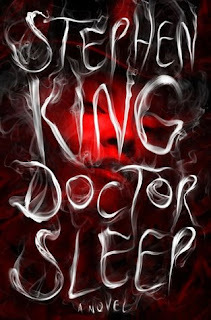 I don't really like that cover for Doctor Sleep but I am excited to read it. I really really can't wait for Nos4a2. That one I think will rock. The Doctor Sleep cover has grown on me SO much. The first time I saw it I didn't notice the face. Once I saw the face I was entranced by it. Agreed, not really behind that cover. It feels rather amateurish to me. Even with the face (sorry Jennifer!). Well, I have to say, a book that makes you want to own it, long before it touches your hands... that's a great thing! I can't freaking wait for this book! I've been avoiding excerpts and such - I find it to be basically a form of torture getting a taste and then waiting months to read the rest! I'm so excited, though! Oh, right. Stephen King scares you too bad, huh? :) Thanks, Tanja! This sounds so good! I do need to read the Shining before I can read this one. I might have seen the movie, but it's not the same. Great pick! Yes, yes yes! I am so excited for this, but also a bit nervous because it has sooo much to live up to. But then again it's King so of course it will be epic! I've actually never read a Stephen King book. It kind of makes me think I should challenge myself to read those authors that I'm ashamed I haven't read yet! I read and watched The Shining, but I'm not sure about a sequel.